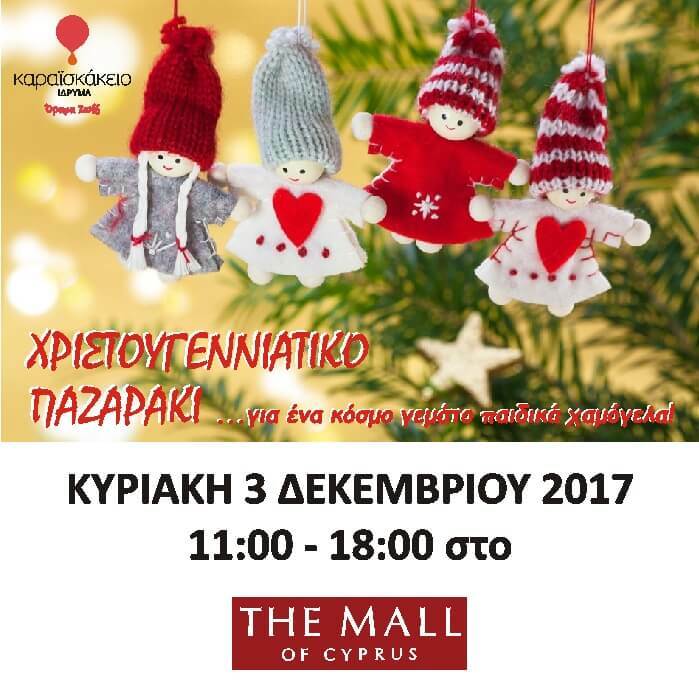 Karaiskakio Foundation organizes its Christmas Bazaar at The Mall of Cyprus, on Sunday 3 December between 11am and 6pm. Christmas sweets, pastries, handmade items, and the Lucky Charm of the Foundation for 2018, will be available for sale. The event will also include a Santa’s Workshop for Children with face-painting, arts & crafts, and other activities, and a special Christmas performance by the choir of the Greek Conservatory of Archangelos. The objective of the event is the financial support of Karaiskakio Foundation and its vision – a world without leukemia.